Cynthia Rank-Ballas, LPCC, created Healing with Horses, a private Equine Facilitated Psychotherapy practice, in 1999. She initially started as a therapeutic riding instructor (PATH trained) working with Challenge NM. She studied with Dr. Eric Craig and began her private psychotherapy practice in 1999 specializing in assisting adults with trauma recovery. Her professional experience has focused on working with adults through issues of trauma, grief and loss, and life transitions. She is a highly skilled facilitator in both alternative experiential modalities to include EFT and energy medicine, and has a wealth of experience conducting cognitive/behavioral treatment techniques. Practicing from a holistic center, she incorporates basic energy connections between all animals and nature. 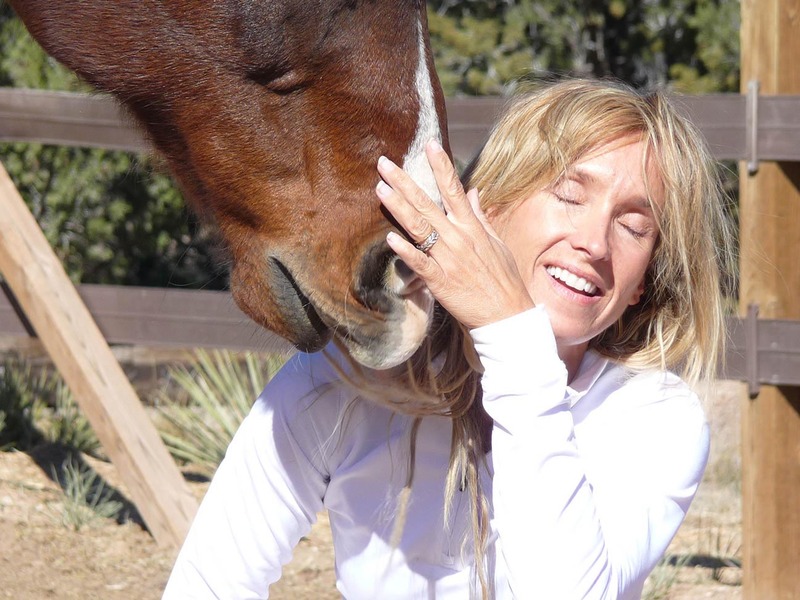 Her approach to experiential equine counseling is a unique blend of her knowledge of horses, general principles of equine-assisted psychotherapy and her in-depth training with experiential therapy methods. Cynthia worked with Youth and Family Shelters supporting Foster Families, and Santa Fe Magistrate offering the first Equine Therapy program to Drug Court. She currently is a clinical adjunct therapist with the Life Healing Center of Santa Fe. Cynthia is an adventure seeker, recreating her life in the desert but at heart she is a mermaid who swims with dolphins at every opportunity. Having grown up on an island, her heart beats with the ocean. Her zest for life is further manifested by being a devoted wife, grandmother, and an ariel fabric artist. Trusting in the process, with animals and nature as her primary guides she is a fierce proponent of overcoming Fear in the name of Love. Cynthia Rank-Ballas can be reached at healwithhorses.net (505)660-7938, and playing in Santa Fe, NM.